New year, new furry family member — now there’s a resolution we can get behind. 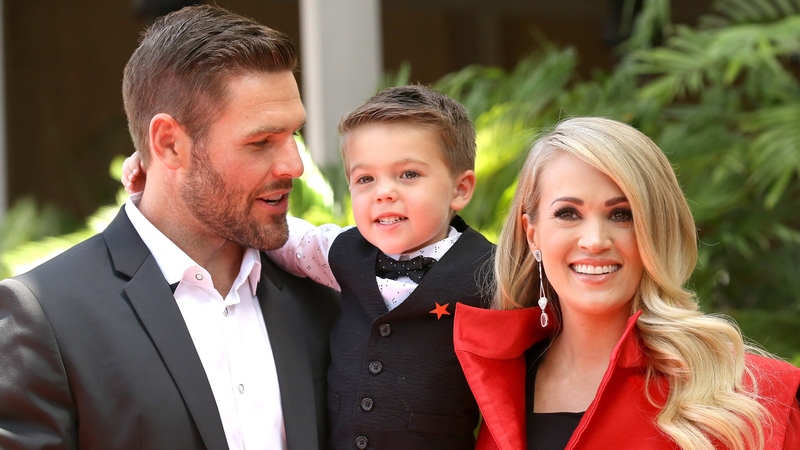 Apparently, so can Carrie Underwood and Mike Fisher. He took to Instagram on Saturday to introduce fans of the power pair to their newest addition, and nope, it’s not Underwood’s bun in the oven (yet). While they wait on baby No. 2 to arrive, they’ve welcomed a puppy into the fold. In addition to an outpouring of support from fans, the photo garnered congratulatory comments from a few of Underwood and Fisher’s famous friends. Zero joins two older fur-siblings: Bradshaw’s beloved smaller-breed dogs, Ace and Penny. The pampered pets were last spotted on social media on Christmas Day, when Fisher posted a family photo in front of the tree. The pups also routinely make appearances on Underwood’s social media, suggesting Zero will enjoy the same sort of cozy lifestyle full of affection. Of course, it won’t just be Fisher and Underwood doting on the family’s dogs. In addition to big brother Isaiah, Underwood and Fisher will be welcoming a new son soon. In a November 2018 interview with Us Weekly, Taylor Dye of country music duo Maddie & Tae let it slip that Underwood is due in January. Whenever Underwood and Fisher bring home their sweet bundle, though, this much is certain: the kid won’t lack for canine companionship.